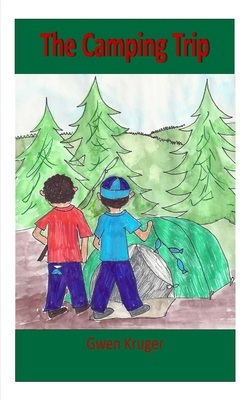 The Camping Trip available for Kindle for $2.99. John goes on his first camping trip with Randy. He and Randy meet two girls that keep running into them. During the day, they fish, and canoe, but at night there are strange noises. John says it is a bear, but who knows? It might just be the girls playing tricks on them. The Girl Who Would Not Listen to her Elders available digitally from Zing, a Schoolwide Publishing e-book distributor for schools. Girl-Who-Would-not-Listen-to-her-Elders is a Northwest Coastal Native American rendition of Goldilocks and the three bears. She eventually earns a new name, but oh my, how much does it take to get there? Stories from here down are not yet published. The note that lights on the floor of the clubhouse says that a king is having a problem with a dragon. The neighborhood Problem Solvers have to go to the rescue. When they get to the castle, the peasants are in a panic and the king can not use his chambers. Can the Problem Solvers get the dragon out of the castle when no knight could? Being kids means that they have to use their brains instead of their strength. Are three kids smarter than a legion of knights? Peter is looking for something to do. He starts a pet wash and is surprised at what shows up. By the end of the day he is tired and wonders what he'll do tomorrow to be entertained. Can Sydney Clarence III, the Scardy Cat of St. Louis, learn to be a plain ordinary kid? His parents send him to his aunt and uncle's farm in Washington State where mountains grow up out of the ground and hover all around, just waiting to eat an eight year old boy. Everything on the farm is new and scary, even Goliath the Old English Sheep dog. How can he ever get over being the Scardy Cat of St. Louis? Just Me and Myself - What kid wants to clean their room? Hal certainly doesn't. He finds a machine at Grandpa's house and manages to clone himself. Now he has a slave to do his chores... or does he? Living with a secret twin is more complicated than he imagined. Hal ends up sleeping in the closet and eating peanut butter sandwiches instead of going to the ice cream store. When it is time for Hal to go to camp, which one goes? Can they figure out a solution in time? What kind of a chicken goes in the house? A silly one; and that's precisely what Lily does. She makes herself at home just like Dog. What a Silly Lily.